The classical economists laid stress on savings and accumulation of capital and the role of investment and technology in economic growth. They thus concentrated on the supply side of the problem of economic growth. Tile demand for capital was taken for granted. But this is true of the mature economies in which investment the demand for capital tends to lose its momentum. The problem of demand for capital or investment received Keynes’ attention. In his ‘General T. Cory Keynes analysed the aggregate problem like the levels of output income and employment, savings investment etc. But Keynes’ was a short run analysis and excepting his emphasis on savings and role of expectations it was mainly static whereas analysis of economic growth has to be dynamic since it Sir Roy Harrods. 1900-1978. involves changes of some fundamental variables in the economy. But Keynesian analysis opened the way for dynamic analysis, i.e., analysis of the problems of worth. Tile tools of economic analysis forged by him. vi: .. multiplier and the accelerator (introduced by J.M. Clark) have been used by modern economists in worth analysis. They have used his analysis of saving as a demand reducing factor and investment as demand generating factor to examine the role of these factors in economic growth. Thus. Keynesian analysis and concepts have furnished the basis Our modern models of economic growth. 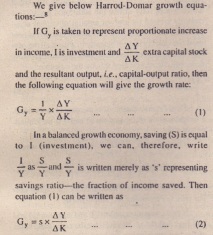 The foundations PI’ modern growth analysis lie in the ideas and concepts contained in Keynes’s book. ‘General Theory of employment. 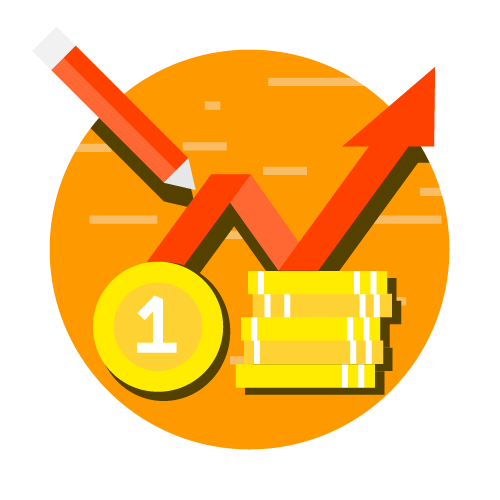 Interest and lone How Keynesian Economics has been used in the analysis of economic growth will he clear from the growth models given by ardor. Tornado and others. Harrods and Delmar 7 anally disc the dynamic nature of invest fitment and demand and showed how vacations in capital and in demand are responsible for stability i’ll economic growth. We have studied above the main determinants of economic growth viz., natural resources, rate of savings and capital, formation, technological progress population growth, etc. These determinants of economic growth influence the rate of growth by influencing two important factors: (a) The Rate of Investment and (b) Capital- output Ratio. Hence!, the rate of economic growth in a country, i.e., growth of O.N.P. depends on the rate of investment and capital output ratio. 6. Amid R.F Towards Dynamic Economics. 7. Lorna E.D Essays in the Theory of Economic 8. Stonier and Hague. A textbook of Economic Theory 1971. pp. 593-599. This equation (3) means that increase in output during any period is equal to extra units of capital invested multiplied by the output obtained from each unit of capital invested. Warranted Growth Rate. Equation (3) only tells us what has happened output actually obtained from a certain amount of capital invested. But it docs not say whether this growth is satisfactory or not from the point of view of a steady growth of the economy or from he point of view of the entrepreneur. The fundamental equation for growth rate which the entrepreneurs would find just satisfactory from he point of profitability can be put down in the following form.